We are arrived. We are tired. Armed men abound. 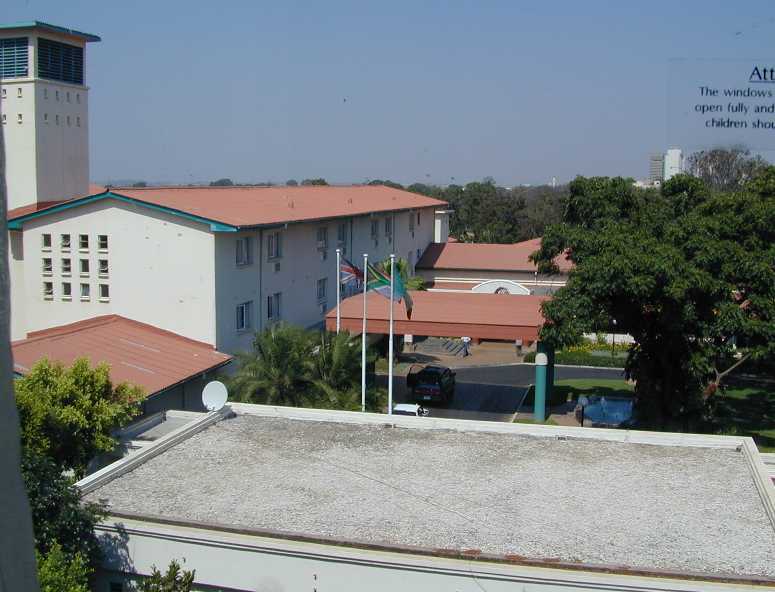 View from our window at the Holiday Inn, Lusaka. 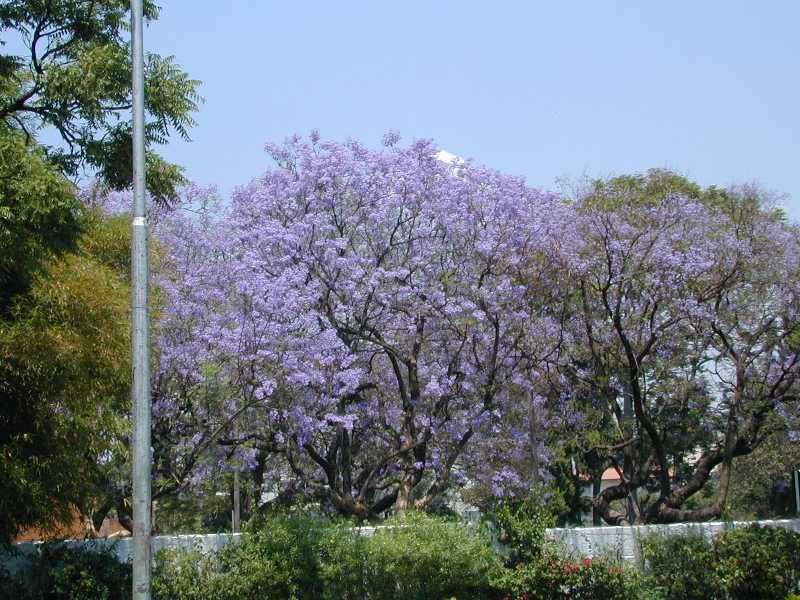 Jacaranda in full bloom. The place is lousy with them. "There must have been moments when Odysseus, years after his return from the Trojan War, relaxed on a sofa with a glass of wine in his hand and muttered to Penelope," You know, that was actually a pretty sweet trip." Jeff Greenwald, "The Size of the World". 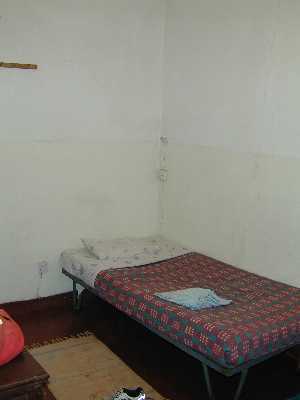 After 650 kilometers of lunar highway, we arrive at the Hanoi Hilton. Our home in Mpika for the next three nights. 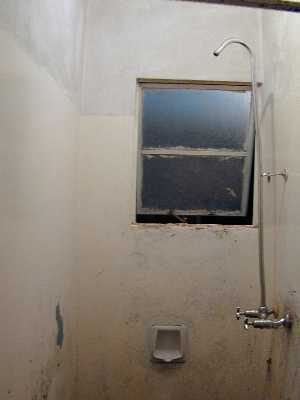 A place without pretensions: "Here's the bed, the door locks, bathe over there."